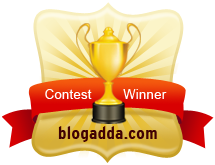 Hey people, This is 2nd guest post by my friend 'Radhika'. She is funny and opinionated and really feels strongly about this subject . Her experiences of raising twin boys and coming from an Indian family reflects in this post. So, we live in the very hub of tomorrow’s technology, aka, Silicon Valley, aka, The Bay Area (like there are no other bays!!)! Living here all these years, I have heard many conversations among our desi friends about how competitive schools are, how competitive other parents are and finally how driven the kids are. I was on the other side of this equation, as an Elementary school teacher. I always assumed, we Indians went overboard about education and did not let our kids be. We structured their lives too much etc, etc. When I made the big mistake of verbalizing this to some friends, whose kids are all in accelerated programs (Math and Science of course), learned to play the piano, were into some Martial Arts course and of course attended weekend Tamil, Marathi, Telegu, Kannada, Hindi schools, I heard a earful. The first line of attack in those days was, “you guys don’t have kids, lucky free birds, so you don’t know”, or, “you are a liberal school teacher, the real world is different”. I just had to take it, because, I did not have kids and I am liberal to put it mildly!! Cut to Present: I am very proud to tell you, my kids don’t attend, piano, cello, violin, Carnatic, Hindustani or whatever lessons. They don’t go to 11 different weekend/summer programs to keep them occupied. They did not go to play groups, pre schools till they were 4 yrs old, and OMG, the winner of them all, they don’t go to a weekend Marathi school. The reason, I felt like writing this, was because we are busy getting admissions for the twins to start Kindergarten. We checked a few schools out casually and then decided on the one reeeeaaaallly close to our home. It is not an expensive private school and does not boast, golf and archery as an after school choice!! The heartache/burn my well meaning Indian friends are giving me is funny and sooooo annoying!!! Apparently, me being so casual is having low expectations and that is akin to abuse. Low expectations breeds low school performance etc, etc. I have been thinking about this and so am throwing this out there in the ether……. Since when has it become a bad thing for kids to imagine and create, without an adult telling them exactly what to do, why is it wrong to tell your child to be who just who he wants to be? One of my twins (age 4) wants to grow up and spend all his time with his dad building Lego! Why do all desis believe that our kids are endowed with special DNA to make them software/hardware engineers? Or that they have to excel to be counted? Is it really so bad to pick just one activity that your child likes and let them be the rest of the time? Is it so bad to go for a walk and stand watching squirrels, collect leaves and discuss what to have for dinner instead of a planned structured activity? I just wonder, some days.. So here was my rant for the day. I hope and pray, I always have the strength to poke fun at my well meaning friends and tell my kids to be who they are and become who they want to become. What an idea huh? Or just low expectations????? Thank God Rakhika you wrote this post because till now I was thinking that I was the only one who thinks like this. I am tired of all desis talking about children in advanced maths and science and gifted programs and going to hundreds of activities. I have two boys(6yrs and 3 yrs). My elder one also goes to a school which is very near to our house and its not a private school. My elder one is in First Grade now and I do have some classes for him but its totally at a laid back pace and things that he enjoys doing. I think kids should be allowed to take it easy. When they grow up they will have so many pressures and responsibilities so let them enjoy now when they can. If any kid is staying at home and not going to 10 different classes then in today's world it is the equivalent of committing a crime. Radhika, I think what you are doing is perfectly alright and definitely it does not mean low expectaions. I so agree with you! Most of my friends' children have almost an 8 to 8 schedule fitting in school, dance classes, swimming, kumon classes.. Makes me wonder do 6-7 yr olds really have any time to be themselves, enjoy their childhood? All I want for my daughter is to have fun, do the things she wants to rather than what I want her to.. If she still chooses to go to dance classes -so be it..
Is it any wonder that children are so stressed and even committing suicides these days? I'm on your side. I don't believe in all "the must do" activities and programs. I'm for letting a kid be a kid. If they express interest or talent towards something, then help them get more involved. But wait and see first. Thanks for coming by my blog today and for the encouraging words! WoW! I learned a lot about you from this post! I do appreciate Vinita for encouraging me to write and allowing me to rant on her blog. More Things that made me go, Huh?